Hiking with kids walking is different and far, far slower than hiking with adults. They want to look at everything along the way. 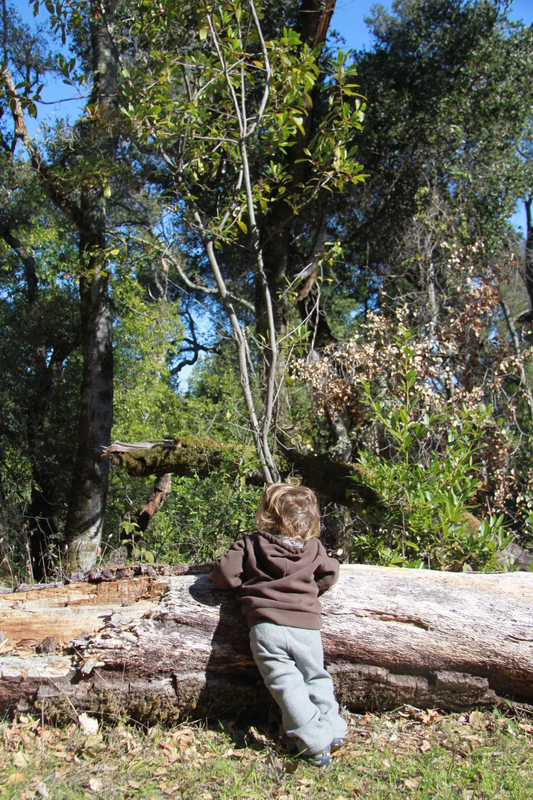 This week we managed a relatively long hike–2 miles!–with both boys walking. It took two hours though as they both needed time to explore. I’m gradually learning to see the blessings of this slow pace. I notice many things that, were the boys not with me, I would hurry past without a glance. Had we not tarried so long by a dried up pond on saturday, I would not have heard the frogs calling in the bushes, and had we not spent 15 minutes listening in a woody clearing on sunday, I would have missed the pleasant experience of sitting with nothing but the wind in the branches and the creaking of the trees to disturb me (the boys were too busy really listening themselves to make any noise).